Tomhegan Camps has something new to offer our guests! We are now offer cruises and shuttles available upon request! One of the best parts about staying at Tomhegan is all the wonderful and friendly wildlife you get to visit with! However, the most sought after animal, the moose, can be a bit elusive and are not likely to come to your porch for a carrot. Your best bet to see a moose is to go on safari! 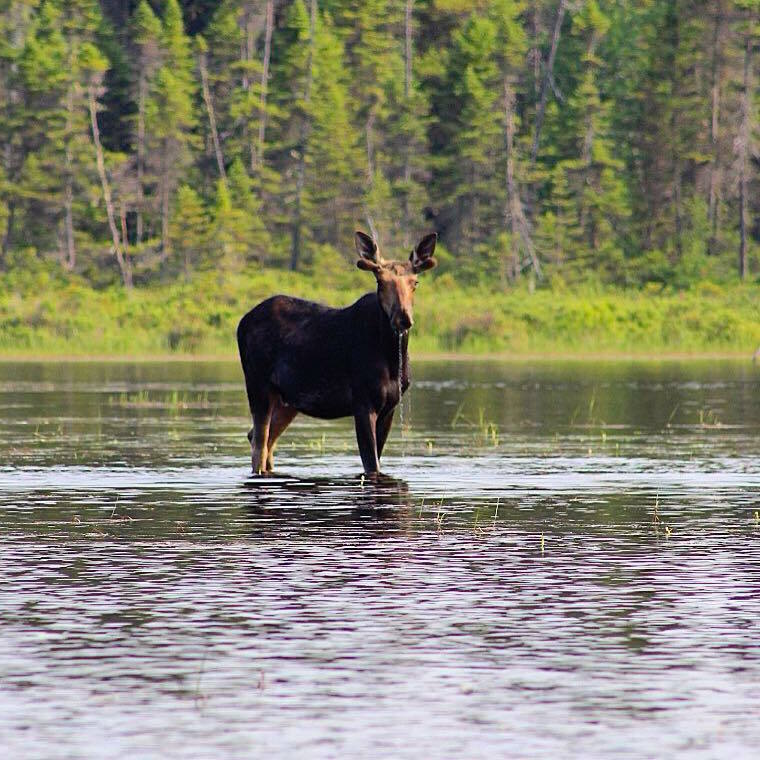 You can lead your own moose safari by spending a morning or afternoon driving around the quiet logging roads nearby or better yet, join us for a pontoon moose cruise! On a moose cruise, you will enjoy a relaxing and peaceful ride up Socatean Bay, one of the most tranquil spots on all of Moosehead Lake. 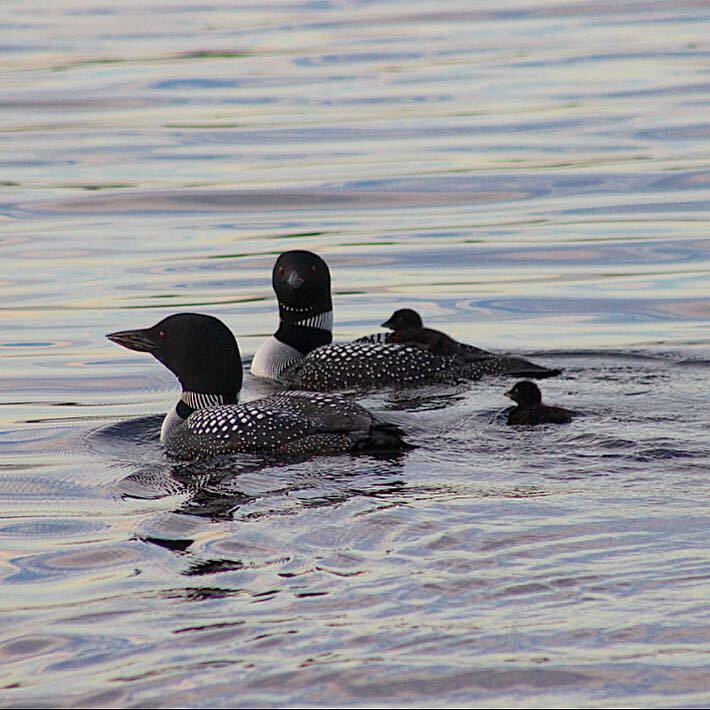 On the hour and a half long cruise, you and up to 5 others will, with a bit of good luck, get the to see many different species in their natural habitat, including bald eagles, beavers, ducks and of course the grand prize… a moose! Our cruises, by appointment and weather permitting, leave the dock at either 6:00AM or 6:30PM. We have found these times to be optimum viewing times and we generally have very good luck, however, as much as we would love to, we cannot guarantee sightings. 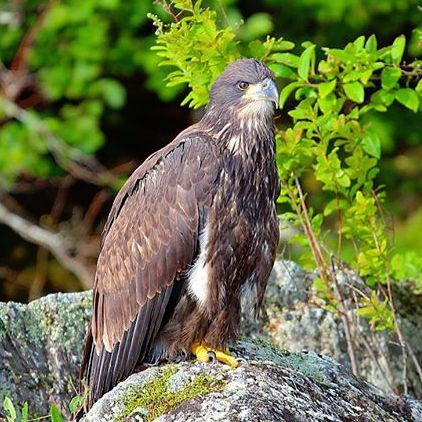 Are you looking to explore the gem of Moosehead Lake, Mount Kineo? With three hiking trails, a pebble beach and a nine hole golf course, Kineo is a must see! Read more about Kineo on our blog post here! Would you rather take a sunset cruise or visit the cliff side of Kineo? Let us know! We can plan custom trips as well! All trips require a minimum of 2 people. Check in with the managers, Samantha and Jeff to plan your excursion today!